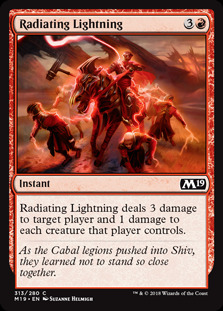 Radiating Lightning ($0.75) Price History from major stores - Core Set 2019 - MTGPrice.com Values for Ebay, Amazon and hobby stores! 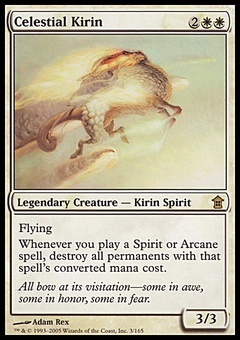 Card Text: Radiating Lightning deals 3 damage to target player and 1 damage to each creature that player controls. Flavor Text: As the Cabal legions pushed into Shiv, they learned not to stand so close together.